If you are considering lining the plumbing pipes of your Chicago building with an epoxy coating or resin, you may be concerned about the safety of the resin lining as it applies to chemicals leaching into your drinking water, specifically BPA. Epoxy resins, including coatings and epoxy lining materials, have been rigorously tested and approved for use on potable water lines and drain lines. BPA is the acronym for bisphenol-A. This chemical is found in certain types of plastics used for food and drink storage, and it is used in epoxy resins. Common places where you can find BPA include water bottles and canned goods, including tomato products, corn, green beans and pineapple. It has even been found in the liquid used to create dental sealants. While there is concern about the possible health effects of BPA since it is an estrogenic, the FDA has deemed BPA to be safe at low levels. Does BPA Leach into Drinking Water from Epoxy Linings and Coatings? According to the BPA Coalition, the minuscule amount of leaching that occurs from epoxy resin coated potable water lines is not harmful to human health. The study of epoxy-lined plumbing pipes was conducted in Sweden for the Swedish government by KEMI in order to determine how much BPA was released into the drinking water. According to KEMI’s thorough testing, it was determined that there was absolutely no risk of negative health effects from the epoxy resins. The CDC goes on to say that BPA as an epoxy resin is not a human carcinogen, and it is not a mutagenic. 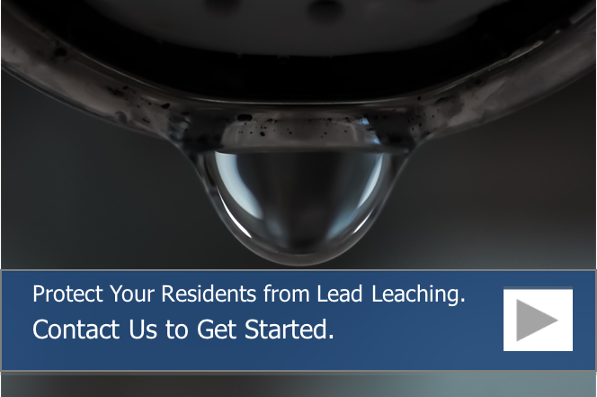 Having access to clean, safe drinking water is essential for human health, and with the aging of municipal water systems and the plumbing systems inside buildings, chemical leaching from plumbing pipes is becoming more of a concern. Aging, corroded metal plumbing pipes can leach all kinds of harmful chemicals into your drinking water, including lead, zinc and copper, which are all harmful to human health. Some studies, like the one conducted by a group of Virginia scientists, as reported by Science Daily, say that chemical leaching is even worse with PVC pipes if the building or homeowner has opted to use brass fixtures and fittings. This is increasingly common because water treatment plants are opting to use chloramine to treat municipal water supplies rather than chlorine. This is because chloramine contains ammonia, and it is active for a longer period of time and traverses deeper into the piping system. Coating your potable water lines with epoxy can help reduce chemical leaching of harmful metals, including copper, zinc and lead, which makes your water safer to drink. 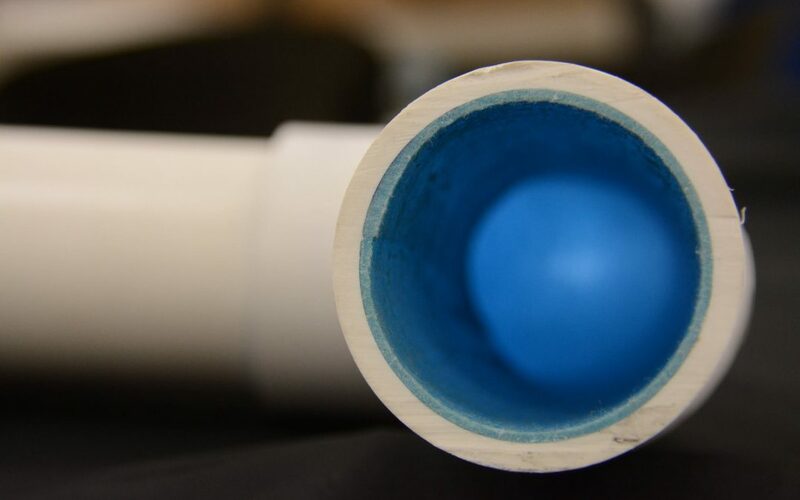 Epoxy coatings inside potable water lines also help seal leaks and prevent future leaks by elimination the possibility of future pipe corrosion. When you choose to line your drain lines with an epoxy liner, you are restoring the durability of the pipe, stopping leaks and extending the pipe’s useful life. You can also feel confident in your choice to line your pipes because all of our epoxy resins and liners are rigorously tested and in compliance with all of the building codes within Chicago and all of the safe water drinking regulations, including those associated with ASCE, IPC, UPC and the IAMPO Guide Criteria 189. To learn more about the safety and benefits of epoxy pipe rehabilitation and to schedule an epoxy lining service, call us at 815-790-9000.